I love this pic - I have the artbook with this one! I never seen this picture before! I love sailor moon, sailor moon forever! :D Wow I have never see the full verson of this image before. ^_^' It is usually cut as a panaramic image across the middle. 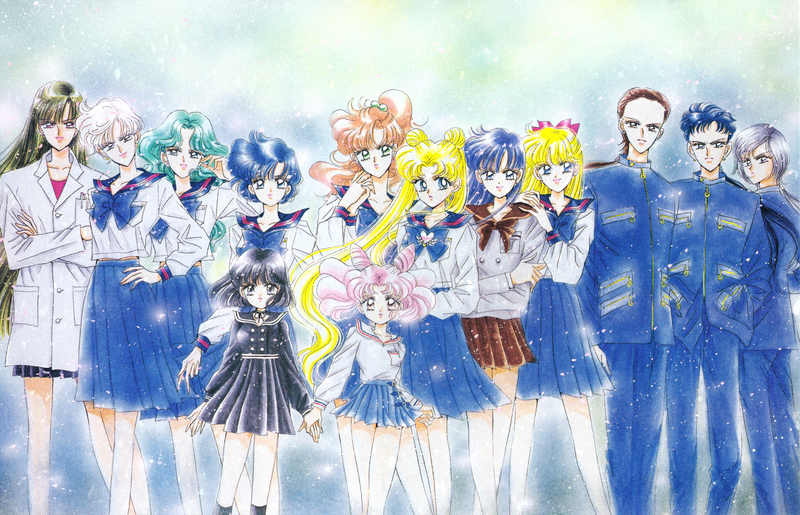 :) This is one of my favorite Sailor Stars image of everyone. ;) Everyone is drawn, strong, serious, and beautiful. This is a wonderfull image...I love it. this is so kewl....love this! Very beautiful. I love the background with it. Very peaceful. wow, looks amazing, thanks for sharing.